Dr. Hung has over 20 years of experience in the dental field. He started as a dental assistant in 1987. He attended dental school at the University of Missouri-Kansas City. 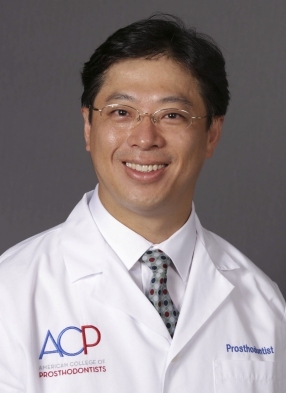 Following his graduation in 2003, Dr. Hung was exclusively selected to participate in a three year combined program in prosthodontics. He received his training at the Michael E. DeBakey VA Medical Center, The University of Texas Dental Branch of Houston, and MD Anderson Cancer Center. At the conclusion of the program, he continued at the Michael E. DeBakey VA Medical Center for an additional year working as a dental consultant. In 2006, Dr. Hung began his own practice at Memorial Heights Dental Center, where he provides exceptional dental care to all his patients. Dr. Hung is very passionate about dentistry, and he encourages his patients to get educated and interested in their oral health. He is skilled in a wide range of services, including crowns, bridges, dentures, dental implants, cosmetic dentistry, and orthodontics. Patients appreciate his attention to detail and his thorough explanations throughout the course of their treatments. Dr. Hung is also committed to furthering his knowledge and skills of dental technology and procedures, often traveling nationally for continuing education courses. He is a member of several associations, including the American Dental Association, the American College of Prosthodontists, the American Orthodontic Society, the Texas Dental Association, and the Greater Houston Dental Society.